This Full Day iSimangaliso Safari Tour highlights the Eastern Shores of this magnificent park, South Africa's very first world heritage site. One can expect game viewing (Leopard, Rhino, Buffalo, Antelope, Hippo) and much more. Departing daily your ranger will pick you up from your hotel or alternatively meet us at our office. This full day departs at 8:00 am and showcases the incredible beauty that surrounds this park. From open grasslands, forest, mangrove, loop roads, hides and beach it's a busy day. Once we reach Cape Vidal a protected bay you will have time to snorkel and enjoy the numerous fish species that frequent the area. All the while your ranger will prepare a traditional South African Braai. Enjoy this full day outing into a place that is known as a miracle. This Full Day iSimangaliso Wetland Park Safari Tour departs daily from St Lucia. 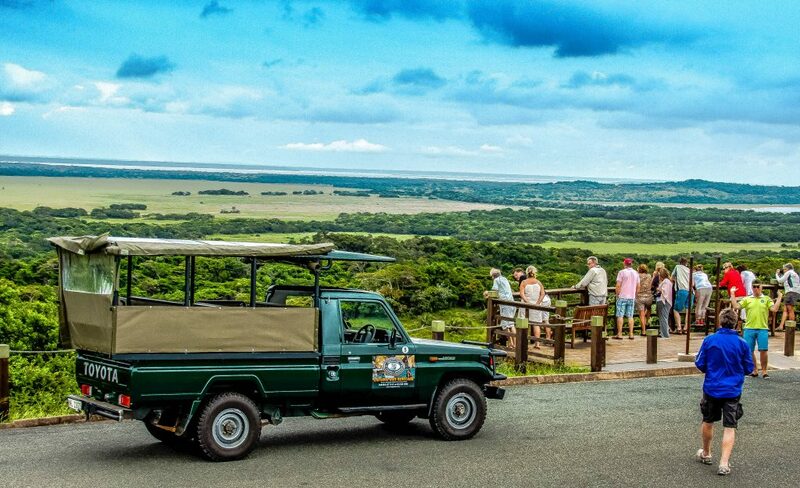 You will be picked up at your hotel at 8:00 am by one of our Game Rangers in a Open Game Drive Safari Vehicle. 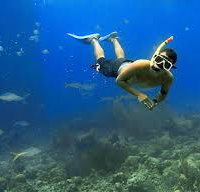 The Tour includes game viewing en route to Cape Vidal a protected bay where one has the opportunity of enjoying some magnificent snorkeling. The bay offers some exquisite fish species including game fish species. Lunch is included and why not taste a traditional South African Braai. After which we travel back towards St Lucia, once again you will have an opportunity to witness some more incredible wildlife. Keep an eye out for those Leopards.